SHARES in Suncorp took a pummelling on Friday after the Queensland finance giant was among insurers looking at hundreds of millions of dollars in damage claims from a Sydney storm. The hailstorm looks to blow out Suncorp's half-year budget for wild weather - just as everything seemed on track. 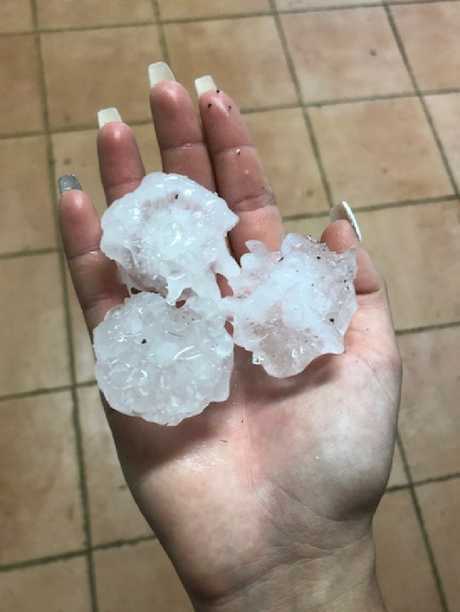 The wild weather smashed the Sydney and Central Coast region on Thursday, with some areas recording golf-ball sized hailstones that pounded cars and homes. The Insurance Council of Australia said 25,000 claims had been lodged by Friday afternoon alone. Losses were already more than $125 million and would "rise sharply", the ICA warned. Hailstorms in metropolitan cities are nightmare events for insurers. A 2014 storm in Brisbane cost more than $1.35 billion, according to ICA statistics, while hail in 1999 in Sydney triggered a then $1.7 billion insurance bill. Shares on Friday in Suncorp, whose brands include GIO and Aami, fell 50c, or 3.9 per cent, to $12.42, while IAG was down 30c, or 4.3 per cent, to $6.65 as investors worried about the impact on profits. Suncorp set a natural hazard allowance - an internal budget for wild weather - of $360 million for the half year. Up until the Sydney storm, a series of smaller disasters had chalked up costs of between $350 million and $360 million. Massive hail stones rained down on Sydney and the surrounding region. Image supplied by Ella Darmanin. The cost of the latest storm is yet to be determined. Suncorp had received 7800 claims as of lunch on Friday, but said it had its own reinsurance protection kicking in to cover any costs over $250 million. If that reinsurance protection is triggered, Suncorp has second and third stumps of big disaster reinsurance. It also carries another kind of protection called aggregate cover. That means once a series of big disasters accumulate to be worth $504 million, a new level of protection kicks in, covering Suncorp for any major events up to $300 million. IAG predicted its own damage bill from the storm would be $169 million, which includes accounting for its own reinsurance protection. The level of claims from natural disasters so far this financial year for IAG could be up to $430 million pre-tax. Morgan Stanley analyst Daniel Toohey said the massive volume of cars needing repairs could result in a need to lift premiums. 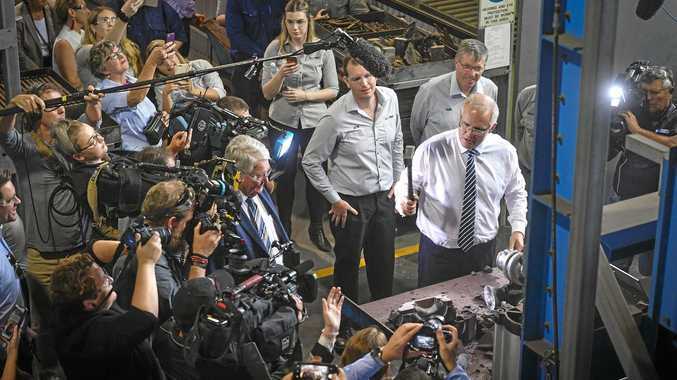 "The risk from events like this is that it creates a strain on the claims handling and the smash repair industry," he said. He said the storm bill would hit IAG's first half earnings but the insurance giant should be able to recover by the full-year. "IAG's first-half will be a little disappointing but on a full-year basis we think they should probably still be able to hit their reported margin guidance of between 16 and 18 per cent," Mr Toohey said.